When you hear the word Majesty, what comes to mind? A king in robe and crown; surrounded by people who must do his bidding? Is the background that of splendor with the man sitting on a throne holding a golden scepter? The word majestic comes to mind whenever looking at a sunset, the beautiful stars that sparkle like diamonds against a black velvet cushion, or a lovely sunrise whose beauty makes one breathless. Or perhaps, if you love conservative Christian music as I do, you may think of the publishing company Majesty Music. Ron Hamilton wrote a beautiful song many years taken from this verse. It has been years since I sang it but I still remember hearing him sing this at a conference. The cd is available on the Majesty Music or Ron Hamilton facebook page and on his website. Look for the Rejoice in the Lord cd. The most wonderful experience for these weathered, lowly shepherds that night was that they were able to bow down and worship the babe – Emmanuel (which means “God with us”), our Savior, the long awaited Messiah, the Lamb of God which taketh away the sins of the world, our sacrifice, the Good Shepherd, Redeemer, the Light of the world, the Bread of Life, God in flesh. The one who came to bear their sins and mine on the cross of Calvary. On Christmas Eve, at our wonderful service, my mind kept going to Isaiah 53 where His death is prophesied. “He was led as a lamb to the slaughter and as a sheep before it’s shearers is silent, so He opened not His mouth. This my friends, is majesty. This is love. Oh, how my heart swells with love for Him whenever I read this chapter. You see, it was written long before He was born. He inspired the Words (literally were God breathed.) I look at the cross – the death, burial and resurrection of the precious, sinless Son of God and praise Him. And then I look forward to the rapture when we shall meet Him in the clouds and so shall we ever be with the Lord. What splendor! He will come again as The King of King and Lord of Lords. Every knee shall bow and confess that Jesus Christ is Lord! That tiny little virgin born baby is all of this. He is Majesty. One song kept popping up in the search and I must have played it three times tonight. http://youtu.be/CHZcgK43Sr0 Bow The Knee. 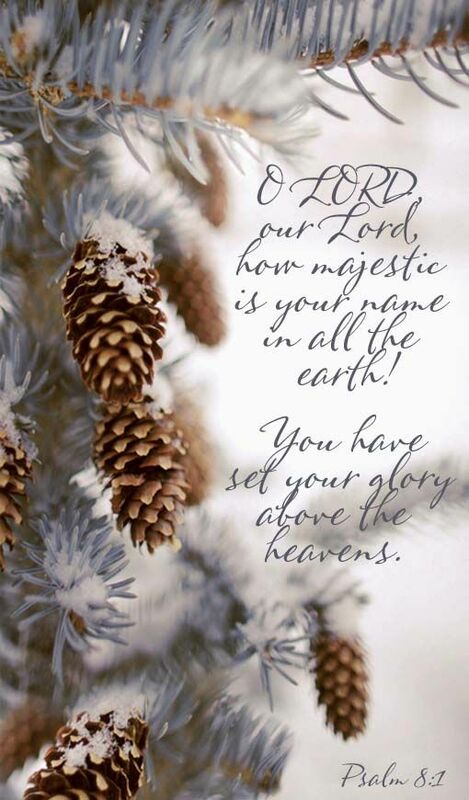 As we begin this new year, lets reflect on His Majesty and bow the knee. He alone is worthy of our praise. So friends, as you bow the knee before Him in prayer, if He prompts you, sing with the joy of knowing Him and His majesty.